MoreThanFine wrote: Just while your on the subject of the cable ties on the legs thing....forgive my newbie question but....why do you put them on? CountryGirl, with cable ties wouldn't you have to cut them off? I bought some that clip together but at the time the chooks were too flighty for me to catch them, and I was also worried that once they were on I wouldn't be able to get them off as they grew. I've seen the spiral ones, and they look quite good but can't see how they'd go on. nzkings wrote: CountryGirl, with cable ties wouldn't you have to cut them off? I bought some that clip together but at the time the chooks were too flighty for me to catch them, and I was also worried that once they were on I wouldn't be able to get them off as they grew. I've seen the spiral ones, and they look quite good but can't see how they'd go on. Yes with the cable ties, once they are on they are on for good unless you cut them, but with them being so cheap and versatile, they are by far the easiest method of leg banding! As they grow I just keep cutting old ones and adding new bands to make sure they don't get too tight. And if on the odd chance you forget to cut one off in time, the cable ties are small and thin so not much effort to try and remove still. I've used the clip ones and HATE them. They are a bit of a struggle to put on and even more so to take off. My neighbours had them on their chooks, and they all got scaley leg at one stage - making the rings so tight the scales pushed all the way around and it was raw underneath. Trying to get them off was a nightmare as there was no room to try and slide/clip it open, and too hard to cut. The poor chooks, finally got them off but it looked pretty painful for them. And the spirals just take a little while to open and twist on, like putting a key on a key chain. Is there anyone breeding them down south otago, southland area? Be keen to try them or get some hatching eggs? theres a person in lawrence... sorry really cant remember his name... though have heard rumours about him buying cheap, selling expensive.... will look into it for you..
That would be great thanks. Eggs from them might be a cheaper choice. 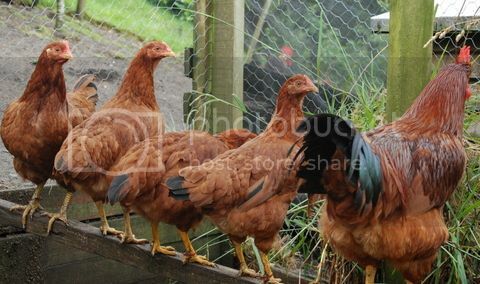 When you think of it though, its not cheap to raise pullets to point of lay. I think that it has been such a cold season that they have been slow to come into lay. even now with one starting to lay, it is still sporadic. gonetothedogs wrote: Is there anyone breeding them down south otago, southland area? Be keen to try them or get some hatching eggs? There's a couple of Mainlanders on the rarebreeds website. I wonder are you still breeding these? as I too am in Tauranga and have been looking for a local supply of eggs. Being a new member I cannot private message you - but you could with me...(?). I am looking for fertile eggs this week, if possible to get into an already prepared incubator. 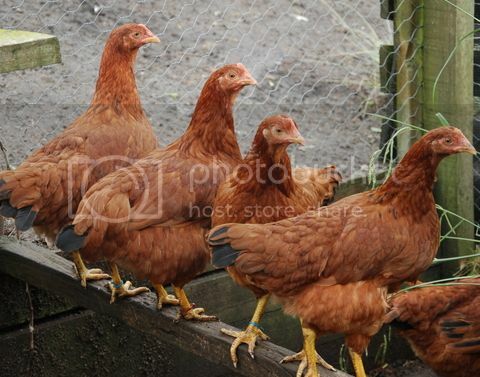 Hi chookdude - have a look at the directory at www.rarebreeds.co.nz and you might find what you are after. 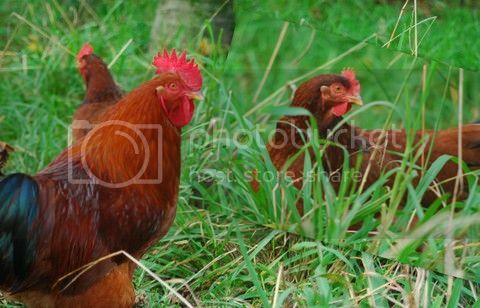 I agree that NHRs are great chooks to have. They're brilliant layers, too. CountryGirlNZ wrote: Hello! Well I breed them and love working on traits and improving their breeding. Mine have nice deep-bodies, lay amazingly (currently the only birds of mine laying through winter), have the correct colouration, legs, and nice faces. They are extremely placid too. I've just sold off all my spare cockerels, but I could always send you some eggs later on in the year?